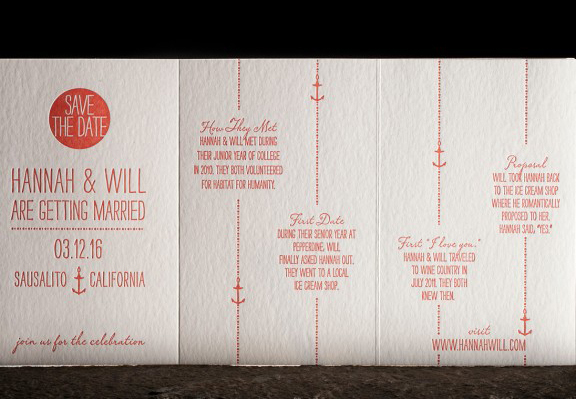 Are you recently engaged and looking to send out save the dates? 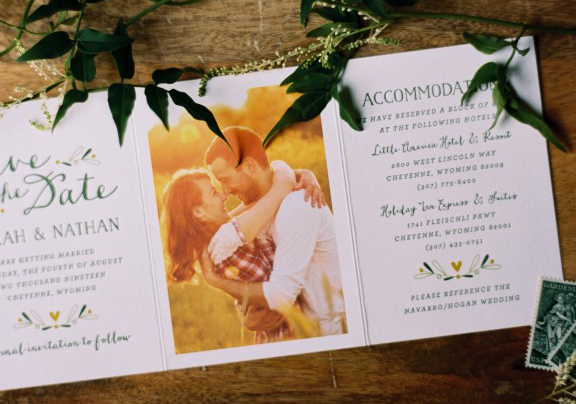 If your wedding calls for sending early information regarding accommodations and venue details to your guests, before sending the formal wedding invitation, consider sending trifold save the dates. 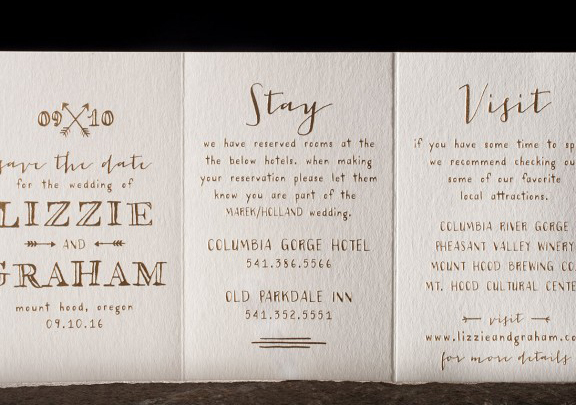 These are especially useful if you are having a destination wedding or inviting out of town guests. Utilize this horizontal layout as a way to tell your love story in a cute timeline format. They are also a great way to incorporate engagement photos. Let us help you design save the dates that are perfect for your wedding needs! 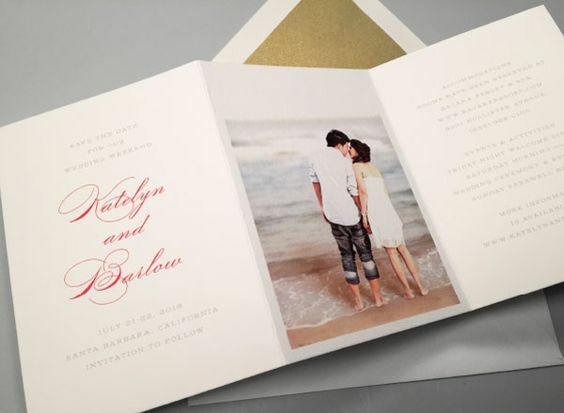 Book an appointment today to begin customizing your dream wedding invitations and save the dates.